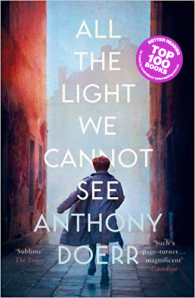 An epic novel, set during WW2, from the prize-winner Anthony Doerr. In another world in Germany, an orphan boy, Werner, grows up with his younger sister, Jutta, both enchanted by a crude radio Werner finds. He becomes a master at building and fixing radios, a talent that wins him a place at an elite and brutal military academy and, ultimately, makes him a highly specialized tracker of the Resistance. Werner travels through the heart of Hitler Youth to the far-flung outskirts of Russia, and finally into Saint-Malo, where his path converges with Marie-Laure. Doerr’s gorgeous combination of soaring imagination with observation is electric. Deftly interweaving the lives of Marie-Laure and Werner, Doerr illuminates the ways, against all odds, people try to be good to one another. 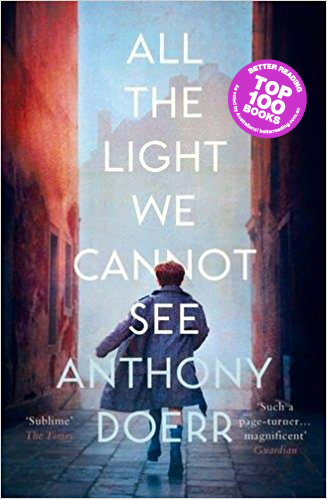 Ten years in the writing, All the Light We Cannot See is his most ambitious and dazzling work.